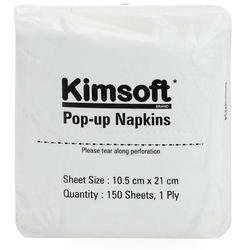 Offering you a complete choice of products which include kimsoft pop-up napkins. We are one of the leading wholesaler trader and suppliers of KIMSOFT Pop-Up Napkins. Looking for Kimberly Clark Napkins ?